At our school we reward good behaviour, as we believe t hat this will develop kind and caring children. Golden Table - children who have behaved exceptionally well at lunchtime are awarded a Golden Table sticker and will sit on Golden Table with a friend of their choosing for a week. 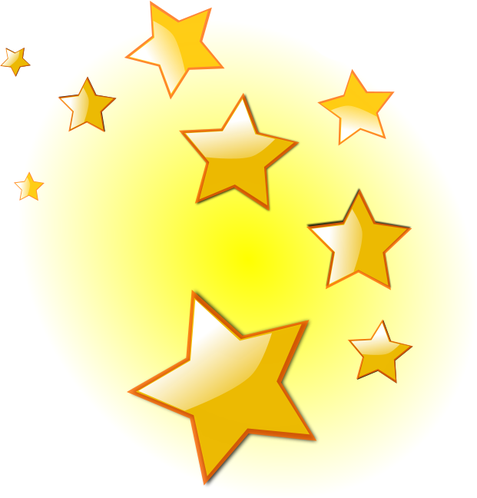 Every child from Reception to Year 4 has a sticker chart where they collect stickers for being Star of the Day. When they reach key milestones, they receive awards in Shine Assembly. Their family are invited into Shine Assembly on Fridays to join the celebration! Lyn Aston Trophy – this is awarded to a pupil who ‘goes the extra mile’ and is an exemplary role model for others. We display and celebrate our children's achievements in Celebration Corner. Our children feel very proud when they are in Celebration Corner and they know how proud our school and their family is of their achievement. This list is not exhaustive and we work very hard to acknowledge all the efforts and achievements of all our children, both in and out of school.